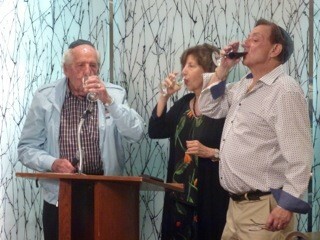 Club L’Chayim is a unique synagogue community that emphasizes learning, caring, and fellowship for Seniors. 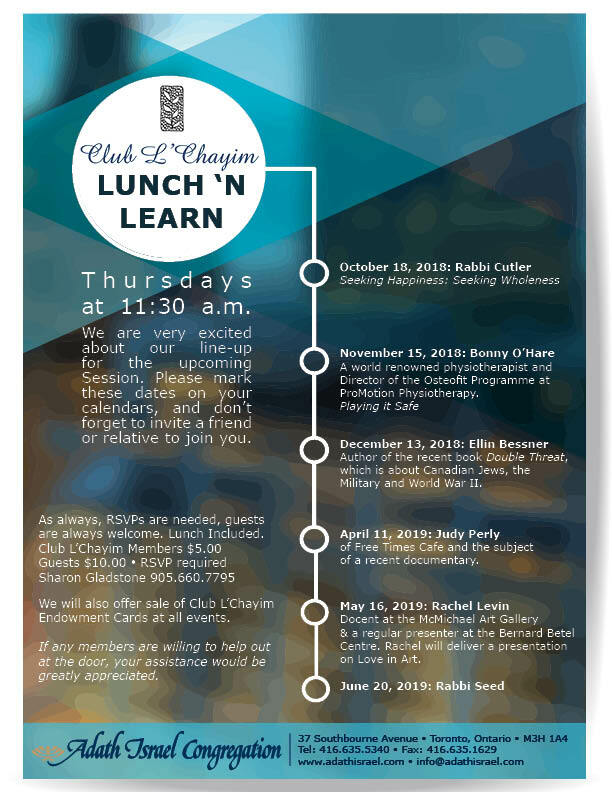 We hold monthly programs that are entertaining and thought provoking and we explore many stimulating and challenging subjects in our monthly “Lunch and Learn” program. Theses lectures address some of the major issues that concern us as Jews and as human beings. We also feature many outstanding speakers and talented entertainers. Our local trips have included outings to the theatre, both locally and to the Shaw and Stratford Festivals. Every Wednesday afternoon we meet for cards, mah jong, rummeque or just to enjoy each other kibbutzing and lingering over refreshments. 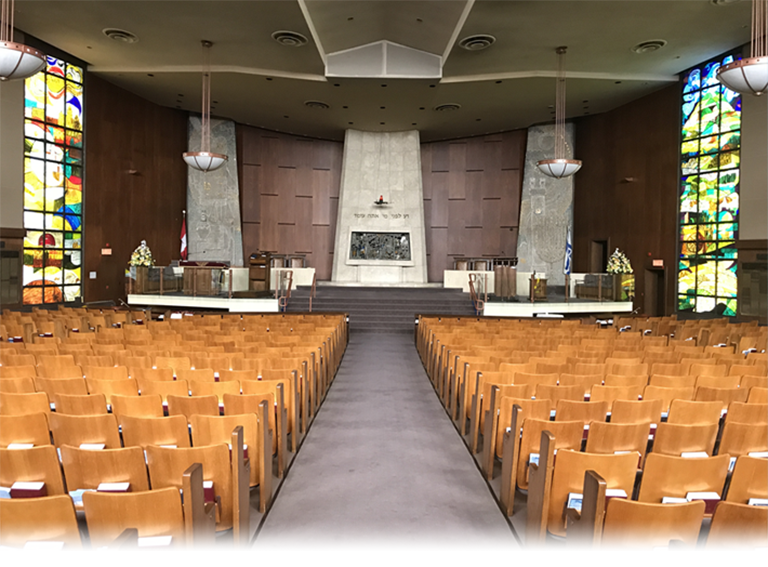 Other highlights include: an Annual BBQ, an elegant Installation Dinner and Dance, the Strawberry Festival and our Annual Shabbat Festival Lunch where participating members are honoured on the Bimah during services. Club L’Chayim is a vital and important arm of the synagogue and the success of our organization has made it a model for the community. We charge $25 for an annual membership.